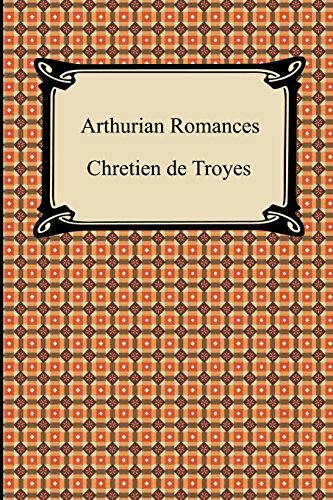 Chretien de Troyes was a French poet in the late 12th century whose work represents some of the best examples of Arthurian legend from medieval times. Contained in this volume are the four complete Arthurian romances that have survived. The first of these stories is that of “Erec and Enide”, which recounts the story of Erec, one of King Arthur’s knights, and the conflict between love and knighthood he experiences in his marriage to Enide. The second romance is the tale of the knight “Cligès” and his love for his uncle’s wife, Fenice. The third romance is that of “Yvain, the Knight of the Lion”, in which Yvain seeks to avenge his cousin Calogrenant, who had been defeated by an otherworldly knight. Lastly is the tale of “Lancelot, the Knight of the Cart”, which centers on Lancelot’s rescue of Guinevere, King Arthur’s queen. These classic medieval poems form some of the earliest and most prominent examples of the legend of King Arthur.